What is better than soda from a glass bottle. 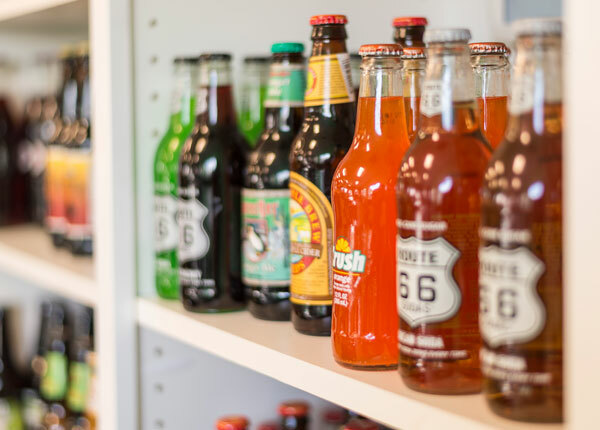 Let it take you back to the good ole days... From the traditional Root Beer to a refreshing Orange or a unique Bacon flavor! After tasting Mainstreet Fudge and Popcorn Co. popcorn, taffy and fudge you are sure to need a drink. What better than a coffee, hot chocolate, cappuccino, or espresso drink. Not a coffee fan , we also have Iced Sweet Tea, hot teas and Chai Tea.